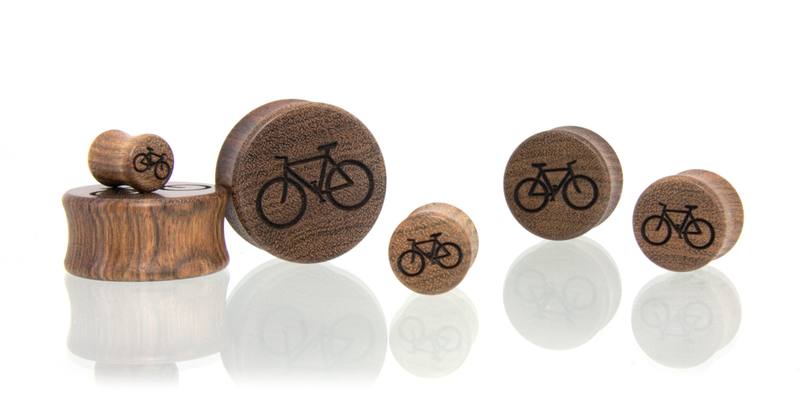 Like to bike? Well, so do we. 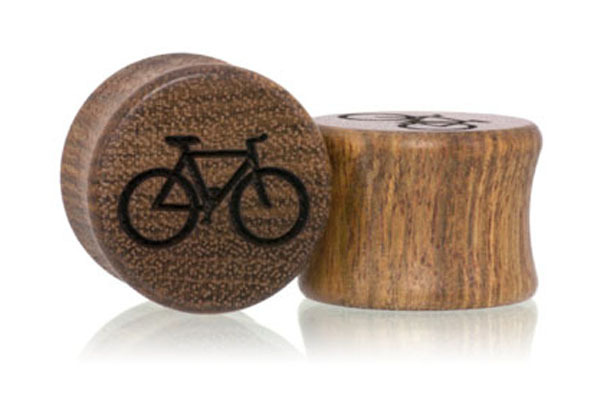 And we love to promote things that aid in helping our environment, so this style is a definite keeper. 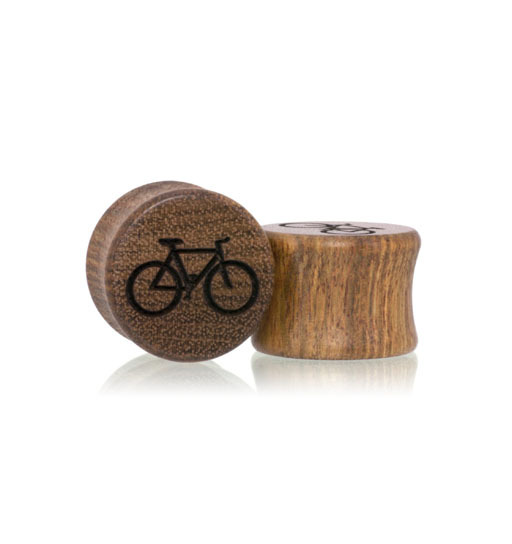 Show your love for two wheels with these Chechen wood plugs. Bike more, drive less.